Updated: MBGFC Club Boat Luna decided to avoid the crowds and go heavy tackle off Point Lookout yesterday after club boat Get Bent went 5-4-2 on Saturday. 15 YO Robbie picked up a double with a nice blue in the chair and a 70 kg black on 15kg for 2-2-2! The great summer of fishing on the Gold Coast is hotting up with fish also showing up on the northern coast as well all the way up to Fraser Island. James Holt and his crew on French Look III had a near perfect day Saturday releasing 13 blacks with only the three on board. All the fish were caught on 8kg and ranged between 35kg and 120kg. Nathan king accounted for 10 and Taylor Bills 3!! Sunday saw the 54ft Cabo Waimarino (Brandon Dietrich, Mat Stehman, Brandon Matthew and Sean Gilbert)also among the fish with 6 blacks and Nathan Wakefield and crew on Relentless tagged 5 in another awesome day on the water! On the Sunshine Coast Mooloolaba GFC club boats are starting to see some good action. 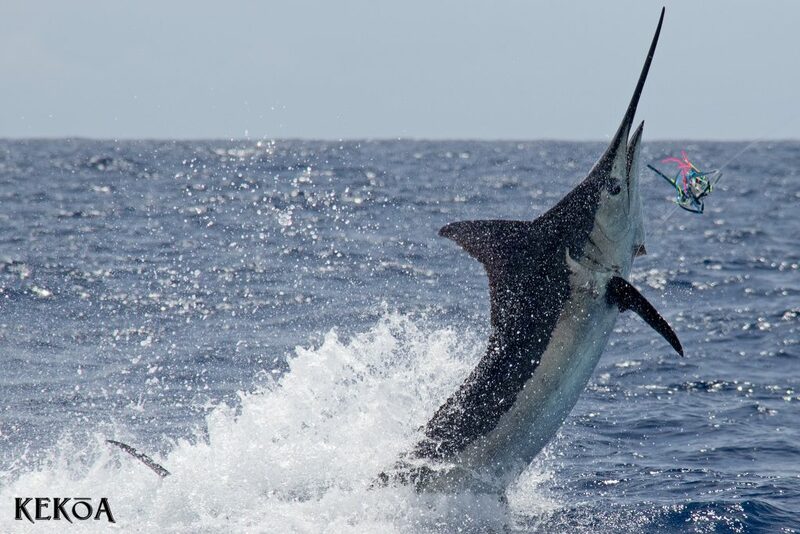 On Saturday MGFC club boat Hellrazor started it off Friday tagging 3 light tackle black marlin. Saturday saw quiet a few trolling in the same area with most fish coming on the early tide change. Saturday’s scoresheet was Reel Lady – 1, Never Home – 2, Red & Black– 1 and Ymer – 1. 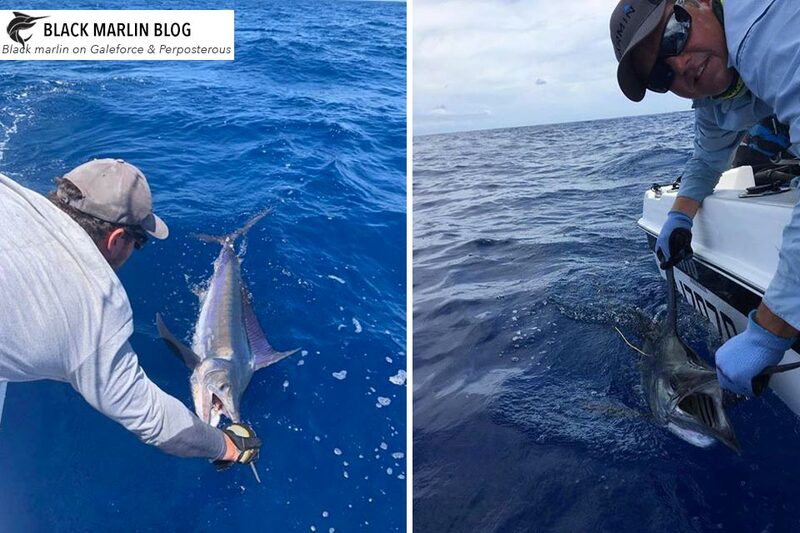 Jamie reports the water was around 26 degrees with bait, birds and dolphins. 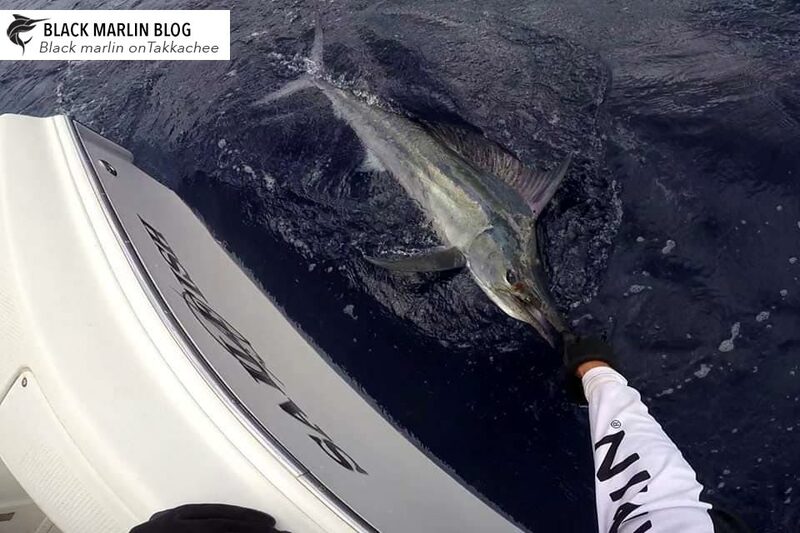 On Sunday Jamie took his father Graeme and eldest son Michael out on TakkaChee and scored Michael his first black marlin. Other club boats to find fish were Knot Working and Roll the Dice tagging 1 apiece. 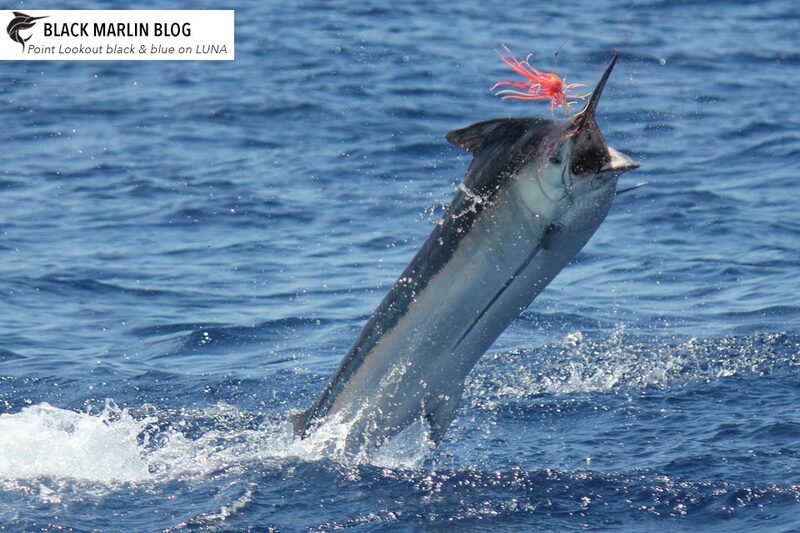 There was plenty of bait again out there and lots of other boats chipping away scoring 1 or 2 marlin each (see next). Newport GFC’s young Tyler Barnes also had a good weekend on Incognito tagging a black and a sail Sunday. He was also out Saturday tagging a mahi mahi and wahoo. Sunny Coast GFC boats were also in on the action. The big new of course another pending Small Fry Aus record for Max Proctor with a 24.8kg wahoo to beat his existing 20.2kg record on 8kg breaking strain line! Congrats Max! 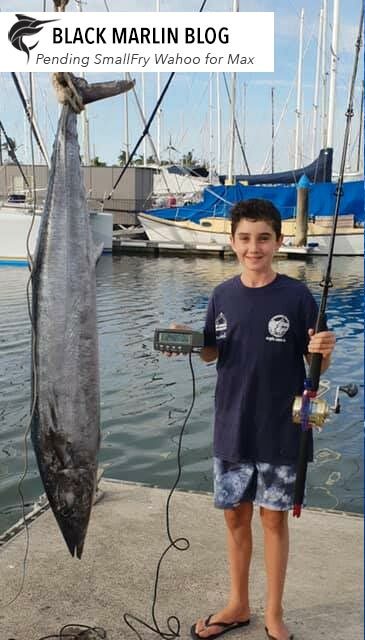 Younger brother Nate also weighed a 12kg wahoo! On the billfish, Perposterous, a 602 Haines Signature skippered by Chris Venn went 2 from 4 on blacks on Sunday plus a couple of wahoo. 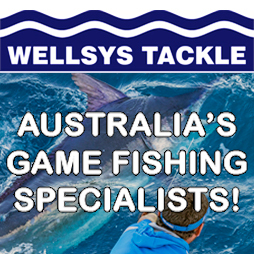 Mick Scott’s Reel Crazy, the 34 Black Watch, also tagged two on 6kg line plus a wahoo and a mahi mahi. On Saturday a heap of boats got one each. Above Kevin Muirhead on his 5.5m Galeforce, Meerkat. 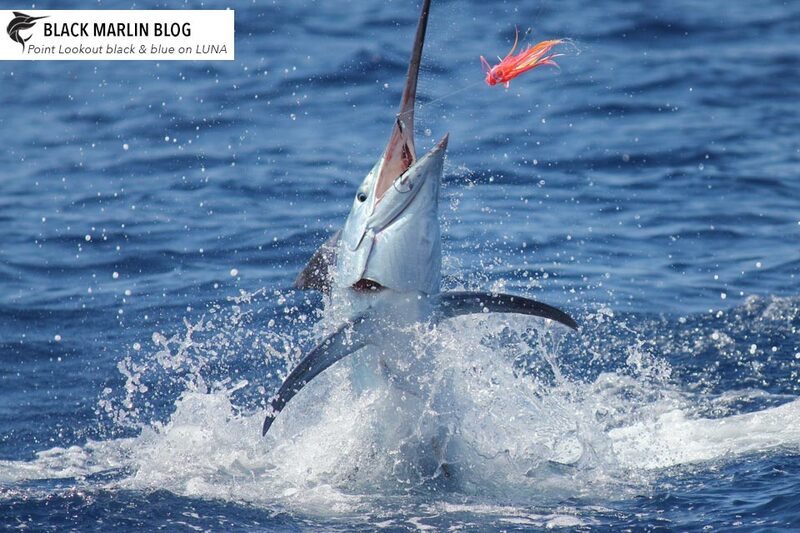 Shearwater, a 2700 Noosacat and Sownami a 575 Cruisecraft also got their black marlin season off to a start. Jason Franks’ 580SLF Haines Hunter called Scorpion got one and Channon Arbuthnot got one solo in his 445F centre console, Reel Game. The Sunshine Coast Classic is coming up Feb 1-3! Fraser Coast – Capt. 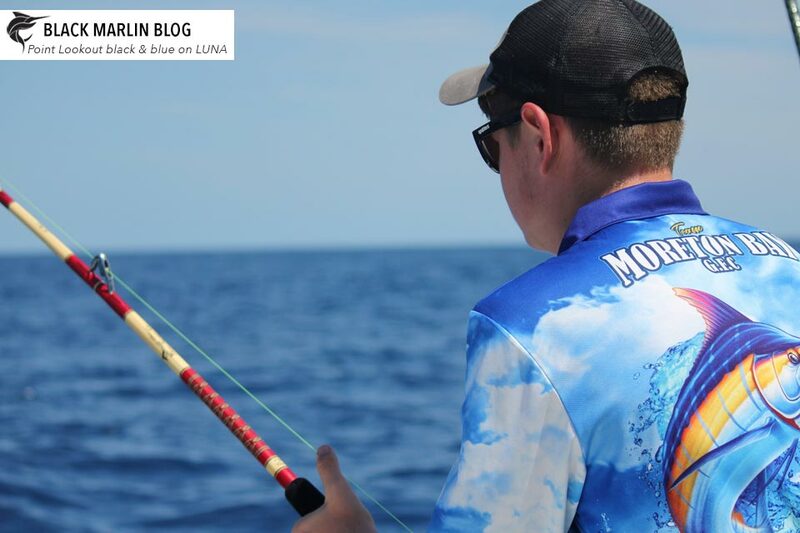 Darren “Biggles” Haydon and Adventum’s owner Kevin enjoyed a week fishing off Fraser Island. 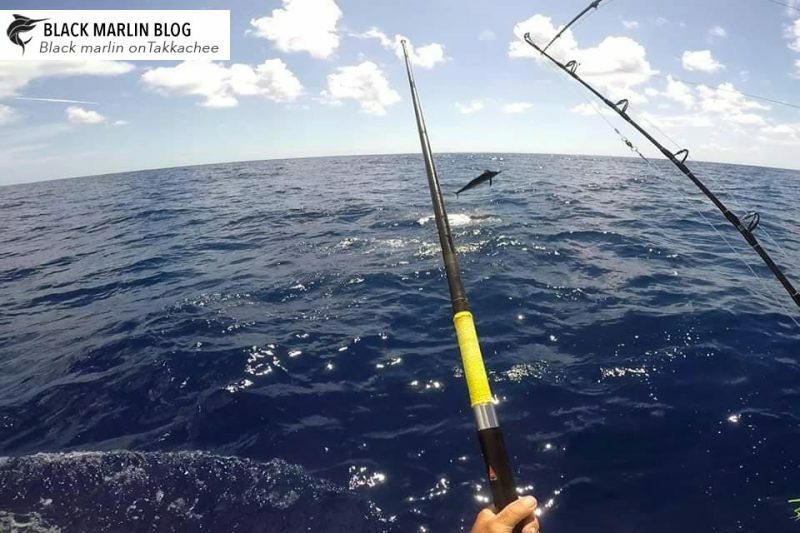 Although the fishing started off very slow and they ventured up to Musgrave Island to find a few, it has turned the corner with a few more about. Biggs reports 4 from 7 overall with 3 blacks and a blue in the last 3 days. Likewise on KEKOA with Capt. Luke Fallon, we fished with owner Scotty over the three days Thursday to Sunday. 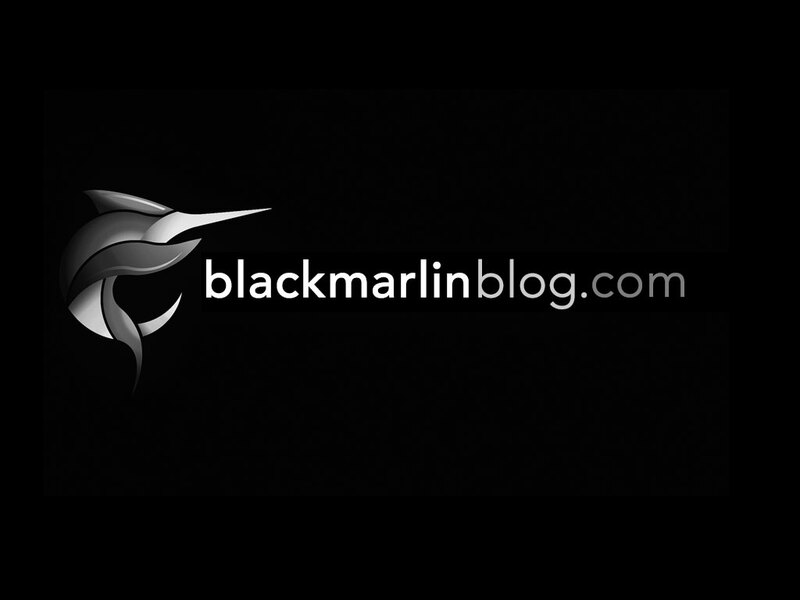 While Thursday was all quiet on the billfish front we added 2 blue marlin and 1 black marlin heavy tackle on the final two days as well as some good sport and gamefish including dolphin fish and yellowfin.